A journalist was also said to have been wounded by Israeli fire. 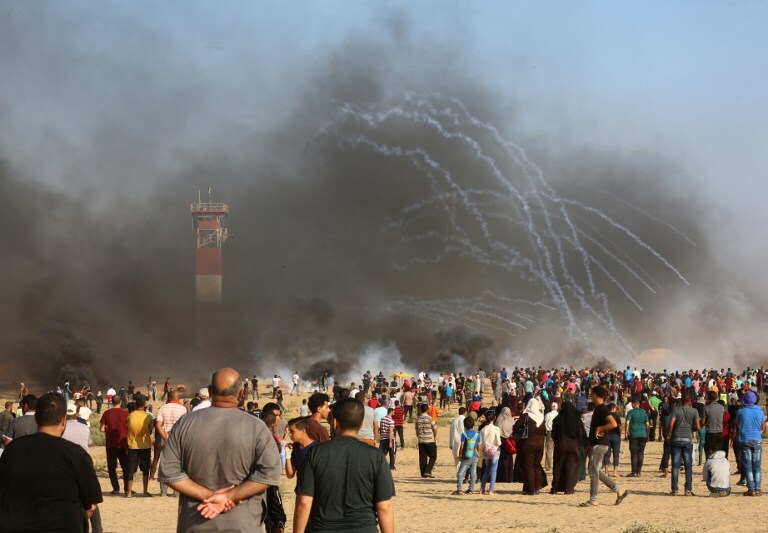 One Palestinian was killed as thousands of Gazans gathered along the Gaza border fence on Friday as violent protests continued along the border fence with Israel after over 200 rockets and mortars were launched from the Hamas run enclave. According to Palestinian reports a paramedic was shot and killed in the chest while providing medical attention to injured rioters east of Rafah in the southern Gaza Strip and another 110 demonstrators were wounded, including one man in critical condition after being shot in the head near Khan Younis. 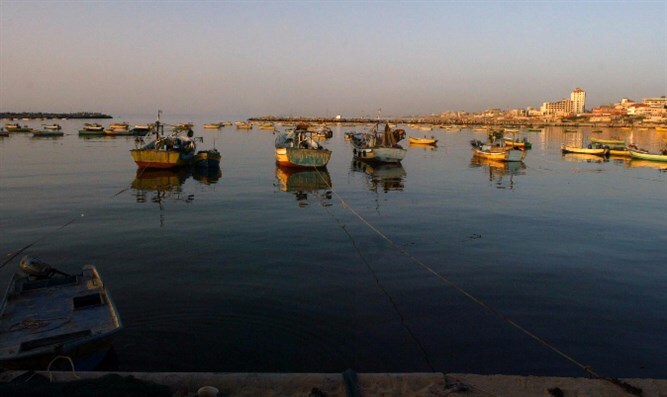 The deadly riots came after a 12-hour lull of fighting between Israel and Hamas which saw over 200 rockets and mortars fired from the coastal enclave towards southern Israeli communities and over 150 retaliatory strikes by Israeli jets. While a ceasefire to end the escalation of violence was said to have been agreed upon by the two sides following Egyptian and UN mediation, Hamas vowed that the Return March demonstrations would continue. “Every time the Israeli killing machine tries to break the strength and will of our people to continue its struggle, every time it will fail,” said a spokesman for the group. The protests along the border dubbed have been the greatest threats to Israeli security in the region since operation Protective Edge due to the combination of terror tunnels, riots, attempted infiltrations and the use of incendiary items. At least 160 Palestinians have been killed by Israeli fire since the protests began, one Israeli soldier was killed by a sniper and another officer was moderately wounded after he was shot by a sniper in the Kissufim area in an ambush after troops arrived to disperse a violent demonstration by 20 Palestinian youth close to the border fence. On Tuesday IDF troops killed two Hamas snipers after the military thought troops came under fire near Beit Lahiya in the northern Gaza Strip. The IDF later acknowledged that the shooting did not target the army’s troops. Maj.-Gen. Herzi Halevi, the head of the army’s Southern Command, concluded the IDF strike was made in error, as the gunmen, part of Hamas’s naval commando unit, were not shooting – as the army believed in real-time – at a border fence patrol by the Rotem Battalion of the Givati infantry brigade but was part of a drill being observed by senior Hamas leaders. Following the incident the IDF shut Route 25 and several smaller service roads near the Gaza border in light of threats made by Hamas. “In light of Hamas statements and the evacuation of Hamas outposts, the Southern Command decided to increase readiness and to close a number of roadways in the Gaza periphery,” read the statement released by the IDF Spokesperson’s Unit. Despite the military significant barrage of projectiles on Wednesday and Thursday the army lifted all restrictions on Israeli residents in the south except for the closure of the roads along the Gaza border out of fear that Hamas snipers will target passing vehicles. Following President Trump’s doubling of tariffs on Turkish metal imports, President Erdogan tells Turks to exchange gold, dollars into lira as investors sell off shares in European banks with large exposure to the Turkish economy; Lira dives more than 18 percent on Friday to hit a new record low after Trump took steps to punish Turkey over the detention of US citizens. 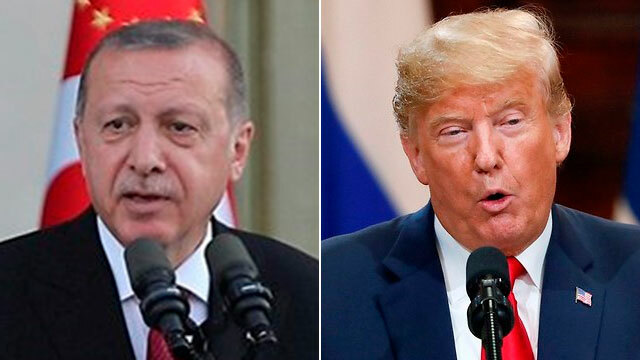 President Tayyip Erdogan told Turks on Friday to exchange gold and dollars into lira, with the country’s currency in free fall after President Donald Trump turned the screws on Ankara by doubling tariffs on metals imports. While Turkey and the United States are at odds over a host of issues, the most pressing disagreement has been over the detention of US citizens in Turkey, notably Christian pastor Andrew Brunson who is on trial on terrorism charges. A delegation of Turkish officials held talks with their counterparts in Washington this week but there was no sign of a breakthrough.Waves from the crisis spread abroad, with investors selling off shares in European banks with large exposure to the Turkish economy.The lira sell-off has deepened concern particularly about whether over-indebted companies will be able to pay back loans taken out in euros and dollars after years of overseas borrowing to fund a construction boom under Erdogan.Erdogan’s characteristic defiance in the face of the crisis has further unnerved investors. The president, who says a shadowy “interest rate lobby” and Western credit ratings agencies are attempting to bring down Turkey’s economy, appealed to Turks’ patriotism. The lira’s relentless depreciation drives up the cost of imported goods from fuel to food for ordinary Turks. New Finance Minister Berat Albayrak—Erdogan’s son-in-law—acknowledged that the central bank’s independence was critical for the economy, promising stronger budget discipline and a priority on structural reforms. Presenting the government’s new economic model, he said the next steps of rebalancing would entail lowering the current account deficit and improving trust. There would be a transformation in the finance ministry with regards to taxation, he said. Erdogan, a self-described “enemy of interest rates”, wants cheap credit from banks to fuel growth, but investors fear the economy is overheating and could be set for a hard landing. His comments on interest rates—and his recent appointment of his son-in-law as finance minister—have heightened perceptions that the central bank is not independent. Analysis: Where is Trump’s Israeli-Palestinian peace plan? In testing whether time is right for a rollout, the administration may be releasing both false and genuine trial balloons to gauge a response. US President Donald Trump’s plan for Israeli-Palestinian peace may be the most closely guarded policy secret in Washington these days, 18 months in the making and yet still known only to the small handful of men behind it. Senior administration officials describe the plan as detailed, pragmatic, and essentially complete. All that prevents them from publishing it is their sense that the timing is off. They are waiting for some ripe moment to present itself – perhaps when the Palestinian leadership decides to give the administration a second chance after writing it off for recognizing Jerusalem as Israel’s capital last year. But such a moment seems unlikely any time soon. The Palestinian Authority, which has not seen the plan, says that Trump’s peace team has given every indication that its contents will reflect bias in favor of Israel by sidestepping explicit references to a two-state solution, dismissing refugee claims, endorsing a permanent Israeli presence in the Jordan Valley, allowing Jewish settlers to remain in the West Bank and remaining silent on the future placement of a sovereign Palestinian capital. There are reasons to believe they are right. While the White House insists that its recognition of Jerusalem as Israel’s capital does not predetermine sovereignty over the entire city in an eventual peace agreement, it has never explicitly stated, as it did with Israel in December, that Palestinians have a reciprocal right to a capital in the holy city – or to any capital at all. They have removed all reference to a two-state solution, to Palestinian independence or Palestinian territories from State Department language, dismissing those terms as “meaningless” without yet spelling out alternatives. And they have defunded the UN Relief and Works Agency, characterizing the Palestinian aid organization as a corrupt and inefficient body perpetuating a false narrative on refugees unhelpful to the pursuit of peace. Kushner and Jason Greenblatt, the president’s special representative for international negotiations, have said their plan tackles some of the thorniest issues in the conflict with specificity and ingenuity – a truly novel take on a geopolitical challenge that has, for too long, been mired in stale thinking. But while past efforts have failed, the careful balance American presidents have walked in since 1967 has allowed them to bring both sides around the same table, to the precipice of an agreement multiple times. 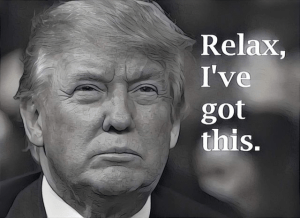 Trump’s approach thus far has not. The reason the timing has been off may be because the approach is off. TRUMP’S TEAM says that the PA leadership is prejudging what is in their plan before they see it, and this much is true: Palestinian officials, like the rest of us, have been left to read tea leaves based on the behavior they have seen thus far. If the plan includes revelatory material that defies expectations – as the team claims – then it should not wait for a moment of kindness from the Palestinians to present itself before releasing the plan. That moment will be created by the presentation of the plan. The peace team seems to be considering this approach, expressing confidence that their work will see the light of day whether or not the Palestinians come around beforehand. They say the plan will include proposals that both parties will love and hate, and lament that they are frequently forced to dismiss rumors on the contents of their plan that scatter news reports. But in testing whether the time is right for a rollout, the administration may be releasing trial balloons – based both on false as well as genuine tidbits from the plan – to gauge public response, knowing full well it can simply deny whichever ones float too high. Regardless of the strategy, public response has been self-evident as the plan is still under wraps. Palestinian leaders are skeptical Trump’s team will ever support a policy that disadvantages Prime Minister Benjamin Netanyahu, and at some point, it will have to prove them wrong to earn their trust back. And report in Foreign Policy magazine last week, which quoted Kushner from back in January questioning the role of UNRWA, did them no favors. White House officials said it was a stretch to say they were denying the refugee status of millions of Palestinians simply by challenging UNRWA’s mandate, which treats the descendants of refugees from the 1940s the same as their modern-day ancestors. 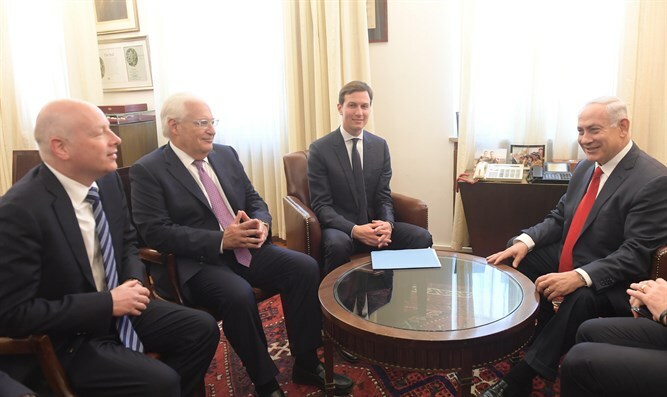 But Palestinian leaders saw Kushner’s comments in an e-mail calling for the “disruption” of UNRWA as further evidence of his plans to erode Palestinian claims to a homeland there. There is one new sign the administration is working on a rollout with direction and purpose. The Associated Press reported last week that the peace team had begun staffing up, on-loading officials from the State Department and National Security Council to create working groups on the policy dimensions of the plan, the economic components of the plan and the strategic sale of the plan to the public. The formation of these teams would indicate that a release is not imminent – these staffers still need time to get into place and prepared – but that publication could be ready in the coming months.